Ray Clark has enjoyed a long and successful radio career. 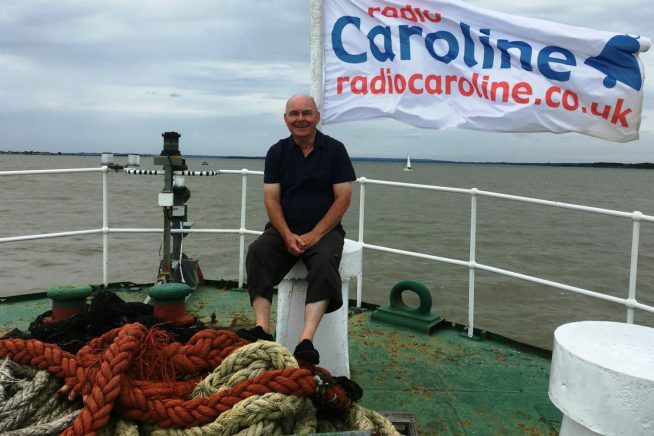 Having grown up listening to Radio Caroline he “ran away to sea” and joined what is probably the most famous radio station in the world. Ray will talk about the amazing history of this radio station that still broadcasts and survives against overwhelming odds. The offshore radio station has defied the odds of survival throughout it’s 55 year history. After changing the world of radio in the UK in 1964, becoming a household name and listened to by millions, by 1967 the station was outlawed by the Government ordering it’s closure. Somehow, despite being ‘outside the law’ for many years, the radio station survived, promoting new music and giving countless radio presenters, Ray included, a career. Caroline still exists legally nowadays, and broadcasts online, on medium wave and on DAB, with three different services.